Complex, rich, smooth, and consistent - the Sindicato Affinity is a medium-bodied, Connecticut-wrapped cigar that is crafted with the upmost quality in mind. 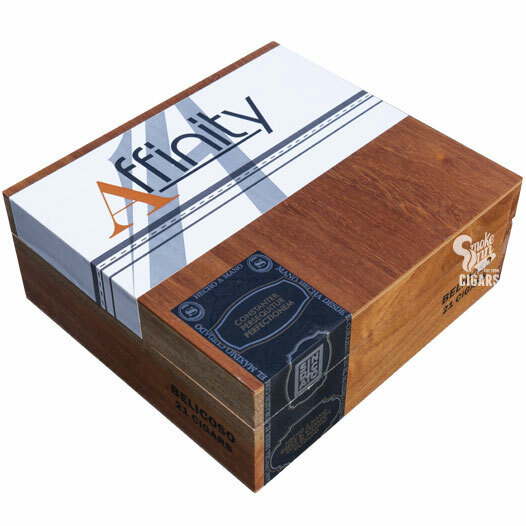 With Dominican and Nicaraguan fillers and binder, and a seamless Ecuadorian wrapper, the Affinity offers creamy flavors of cedar, earth, and a touch of spice on the finish. The Affinity is great for smokers that crave flavor, but are looking for a less intense, smoother variety.